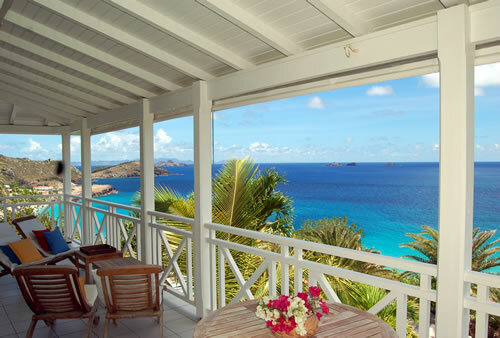 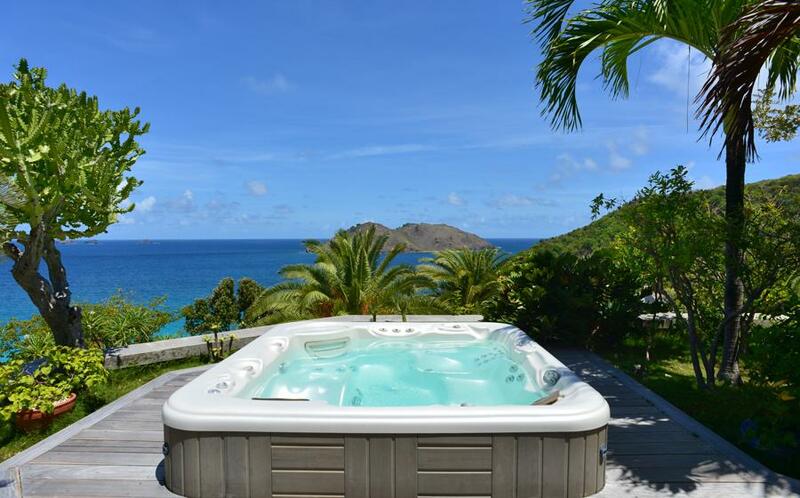 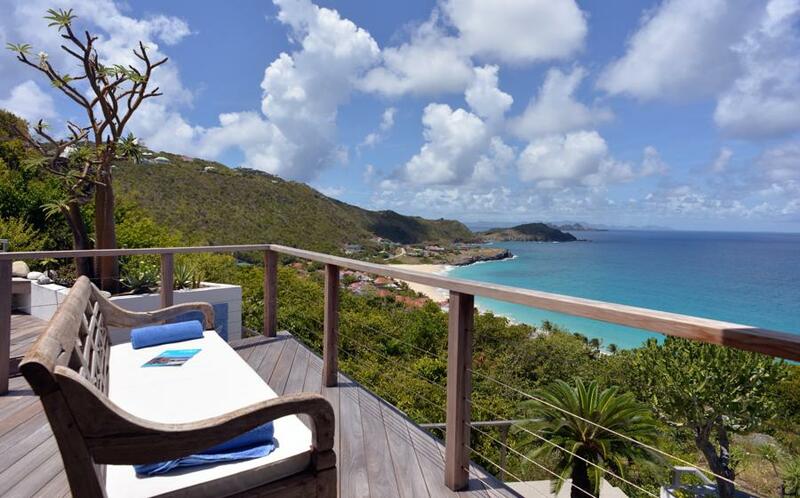 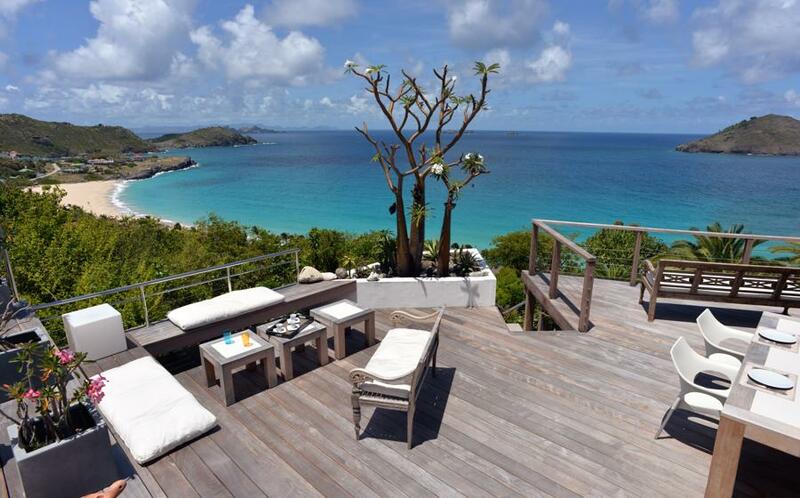 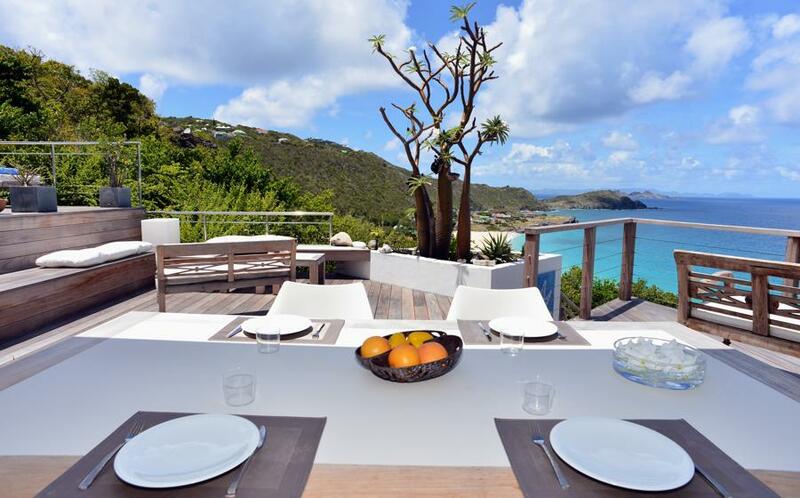 The villa has exceptional views, including the bay of Flamands, the ocean, and the islands of St. Martin and Anguilla on the horizon. 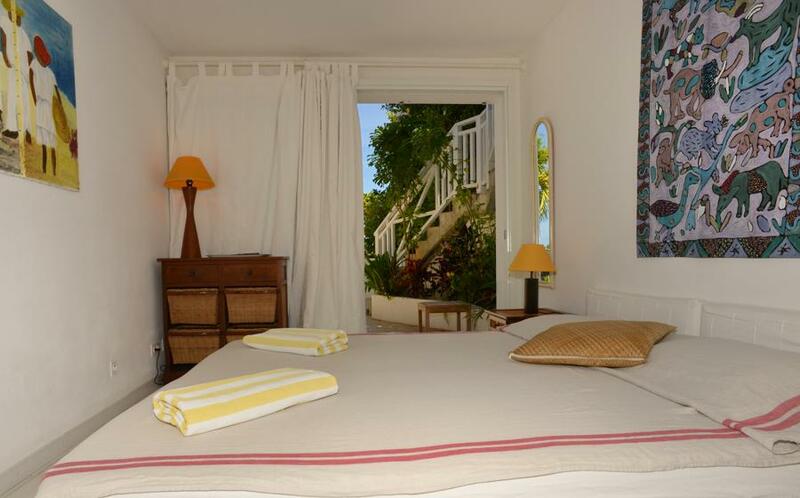 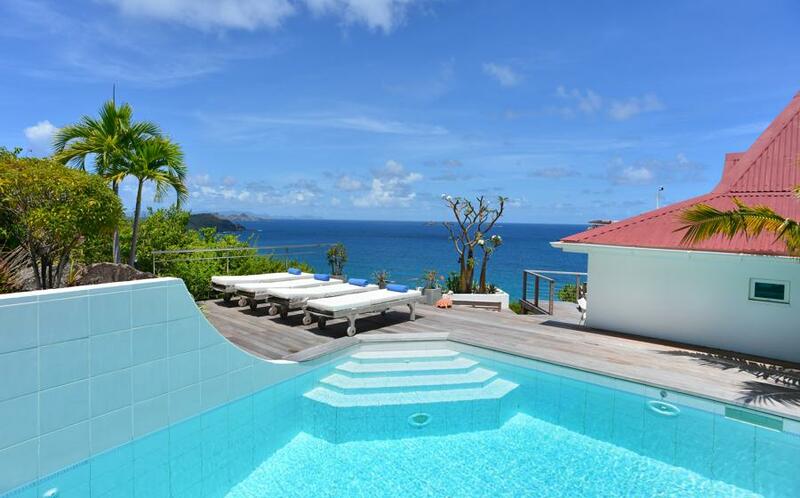 The villa, recently renovated, offers large terraces, a heated swimming pool and Jacuzzi opening onto the turquoise blue sea and the beach of Flamands. 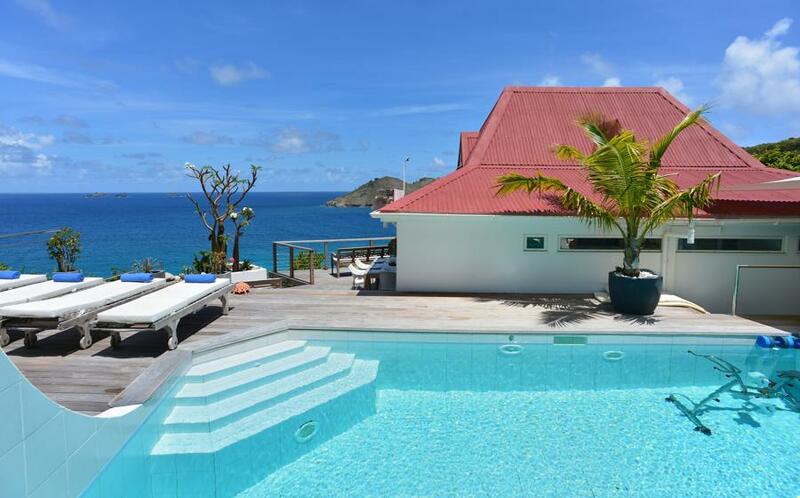 At only three minutes by foot to this famous beach and renowned Saint Bart's Isle de France hotel, the villa is very private. 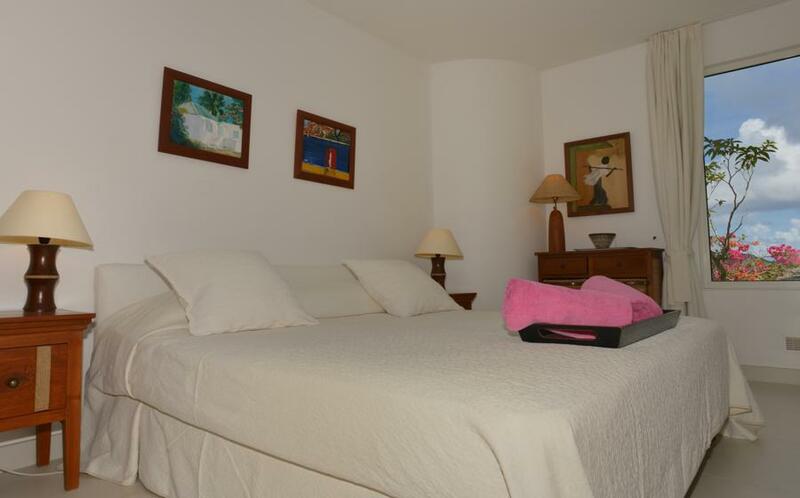 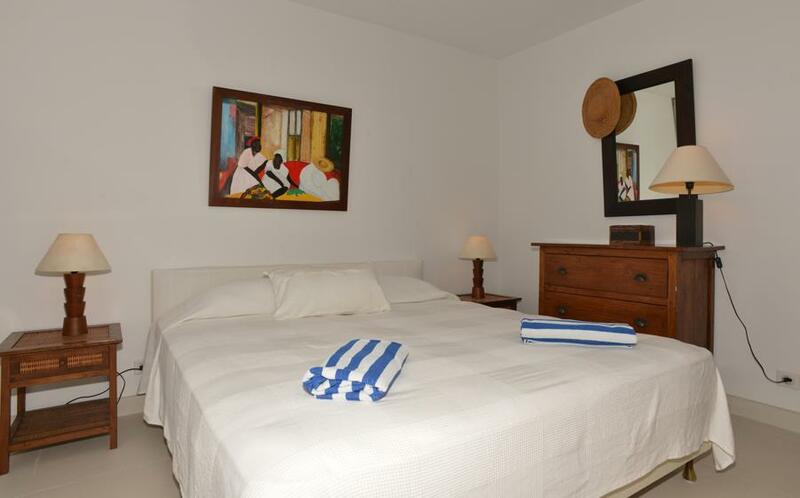 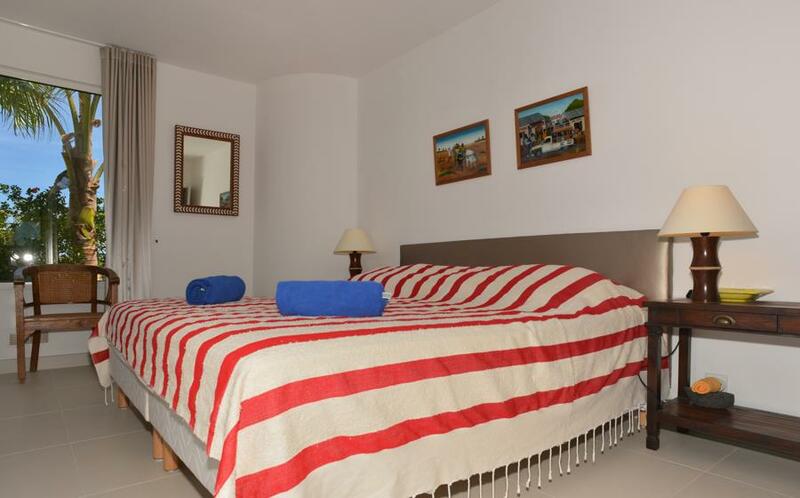 Having three of the bedrooms under the same roof, Aventura is ideal for family holidays. 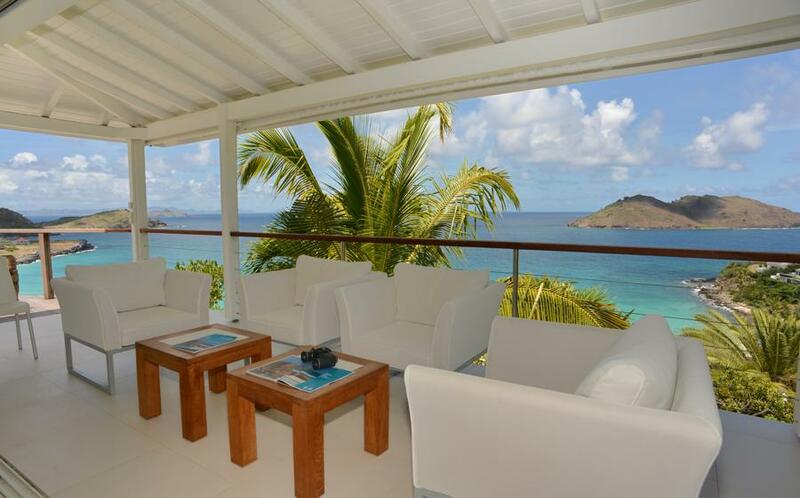 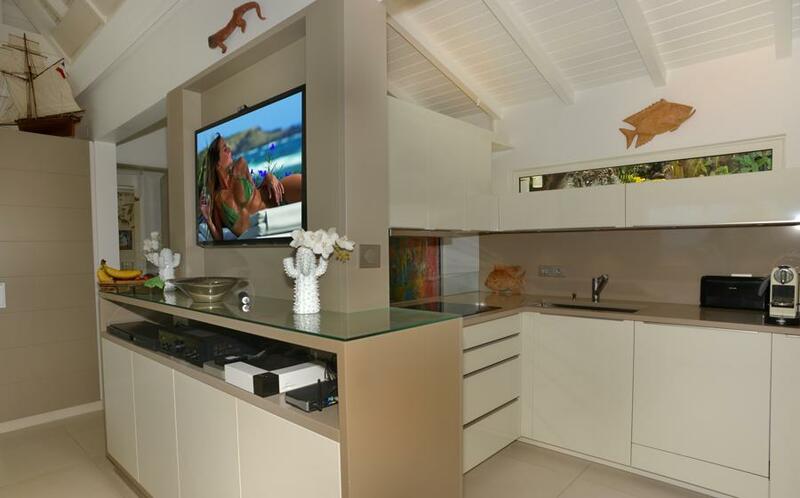 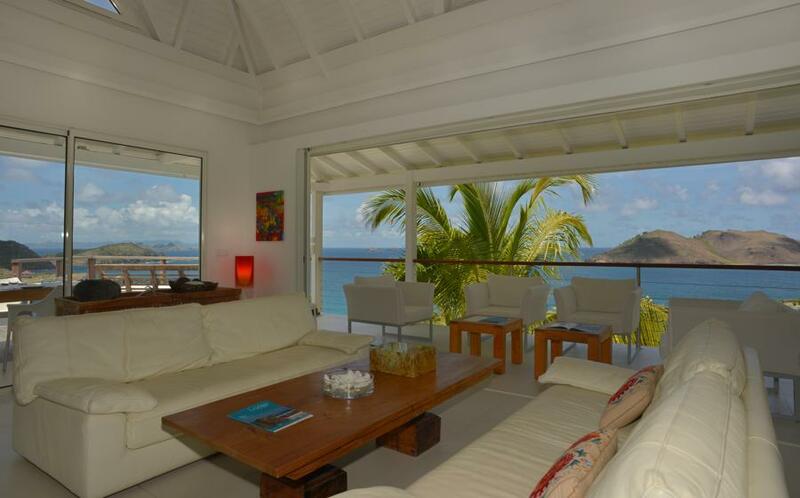 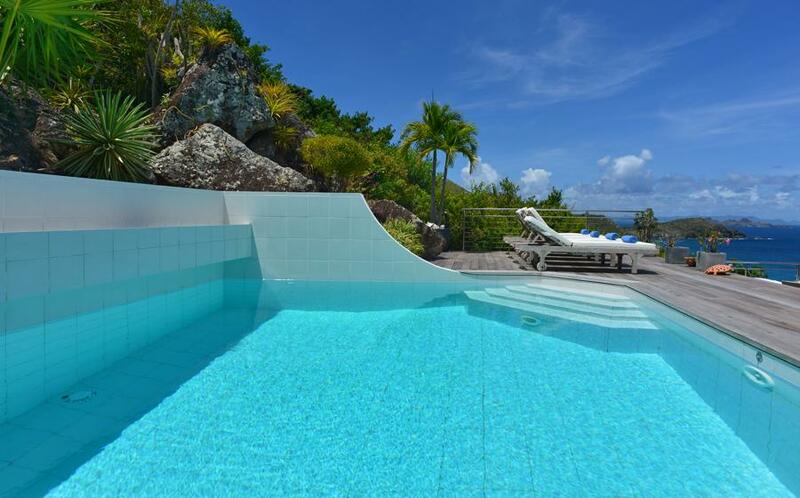 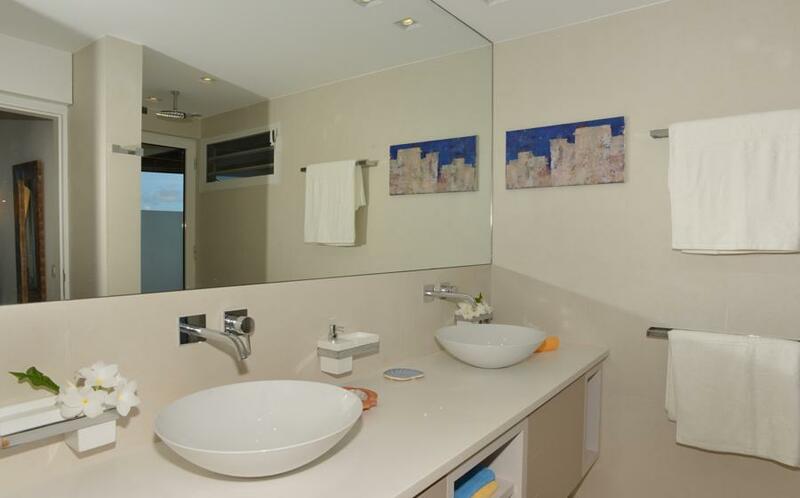 Roc Flamands: The private lot of Roc Flamands is a set of 14 private villas situated on the heights of Flamands. 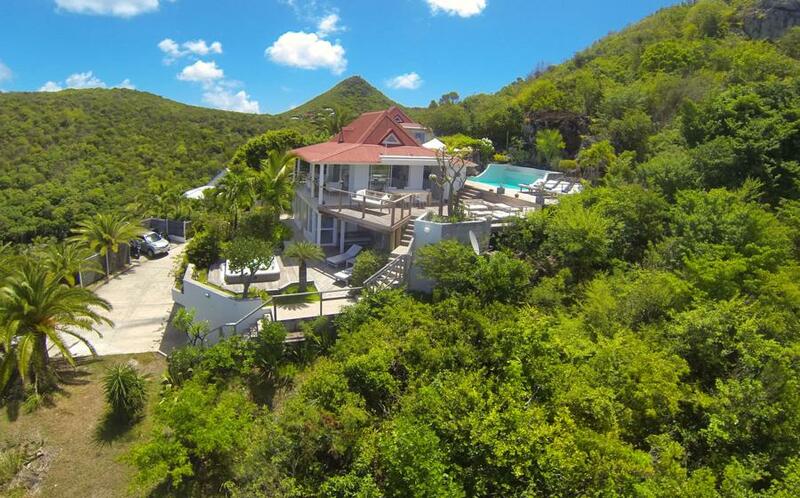 This private estate is within walking distance to the beach of Flamands. 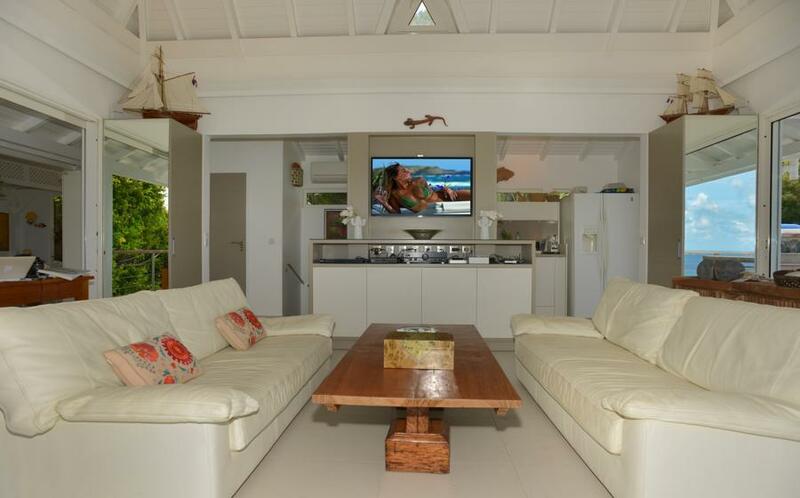 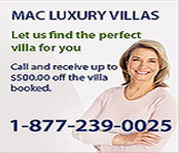 Villas Roc Flamands 5, Roc Flamands 7, Aventura and Art are part of it.